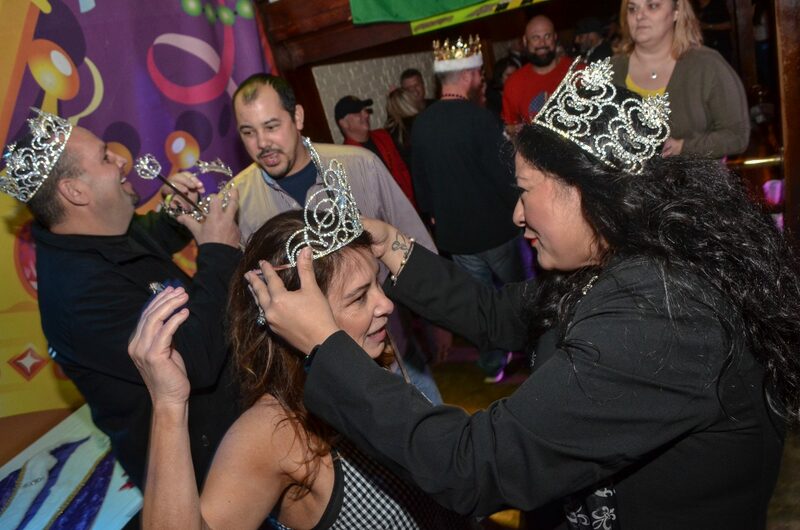 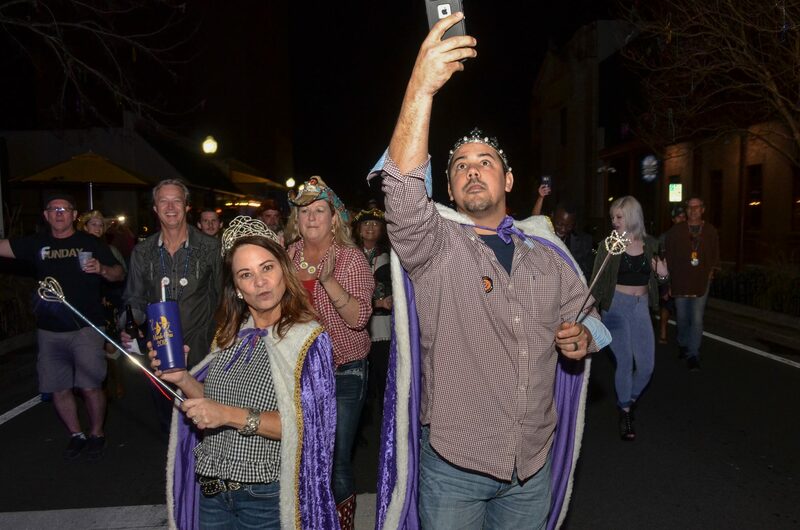 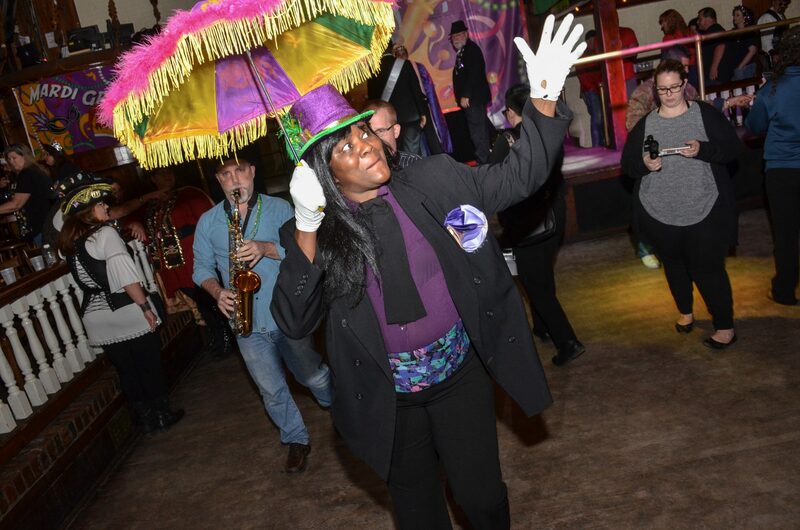 Pensacola’s Mardi Gras celebration for 2018 wound down on Fat Tuesday with the Priscus Procession and the crowning of the king and queen of Mardi Gras for next year’s celebration. 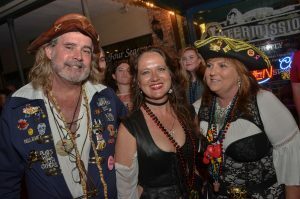 The traditional gathering started at Seville Quarter, where more than a dozen krewes as well as other well-wishers gathered for socializing. 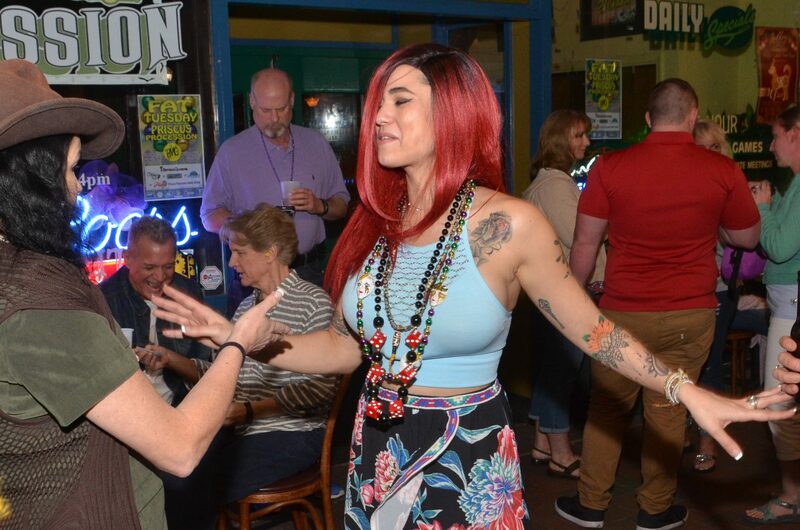 music, beverages and tasty red beans & rice. 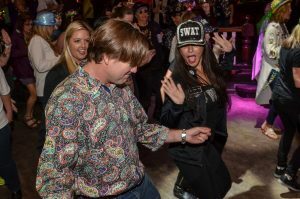 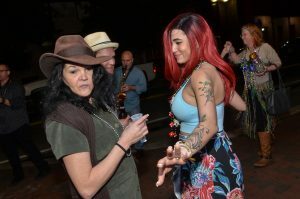 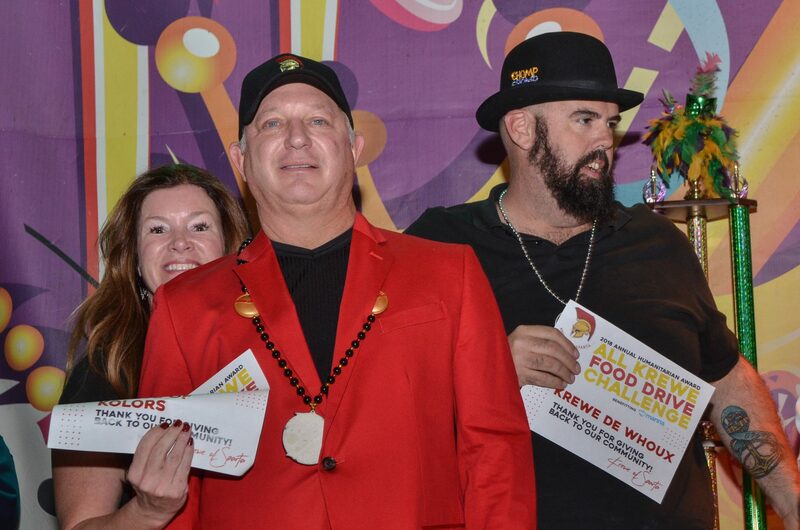 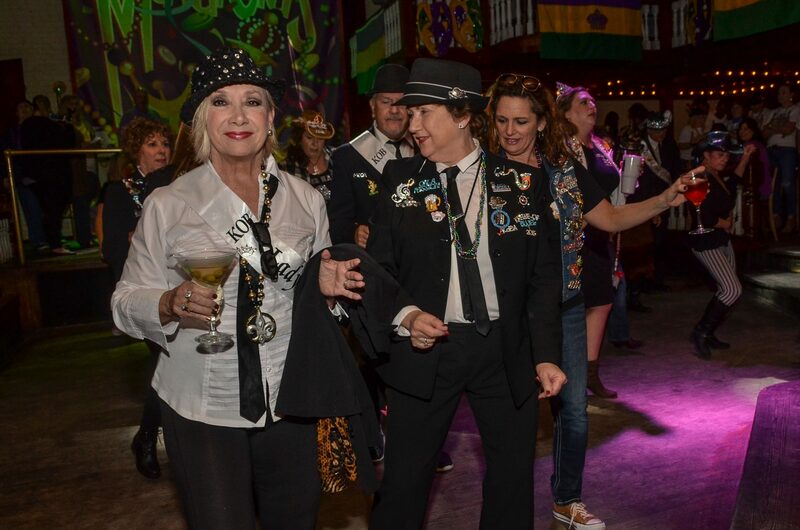 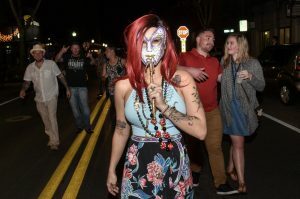 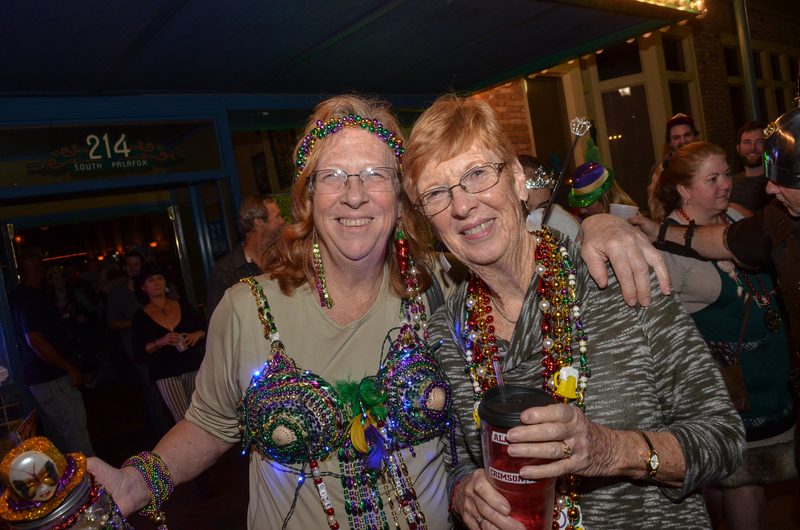 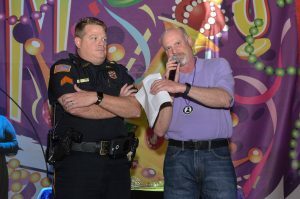 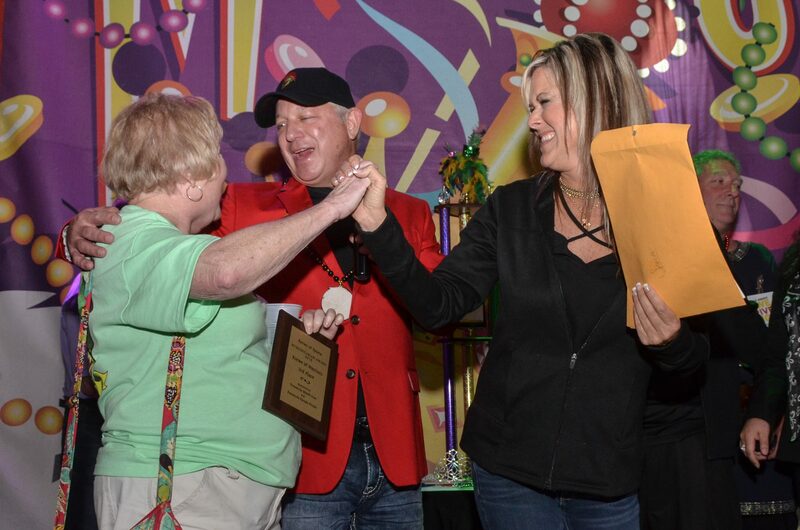 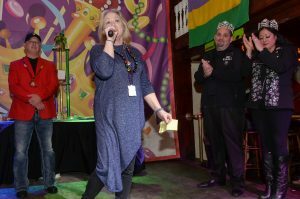 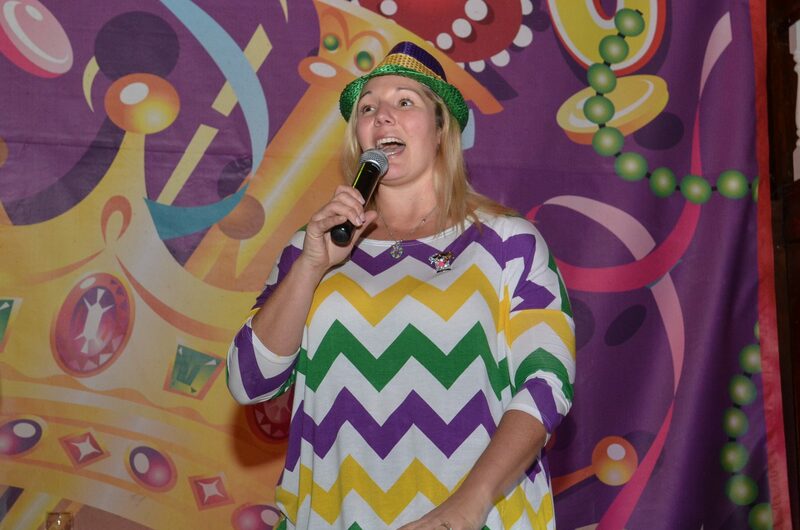 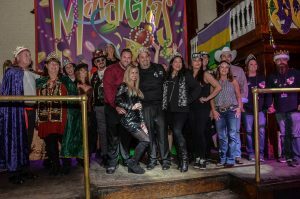 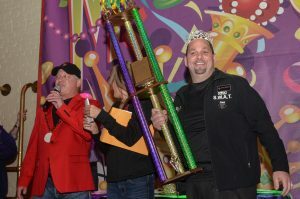 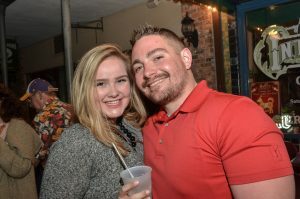 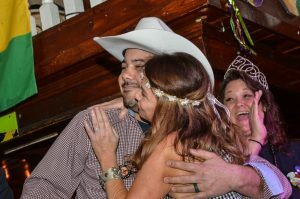 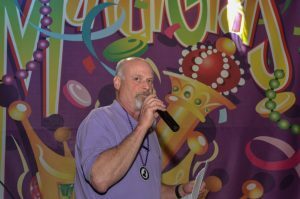 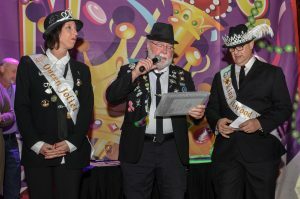 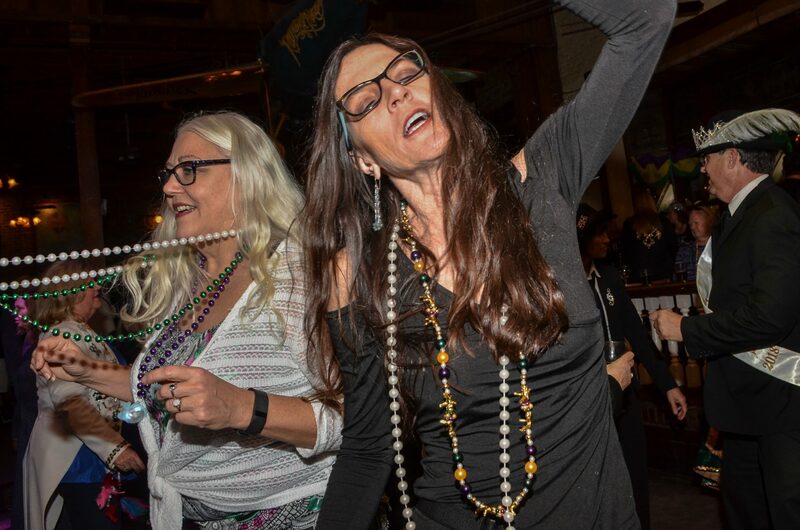 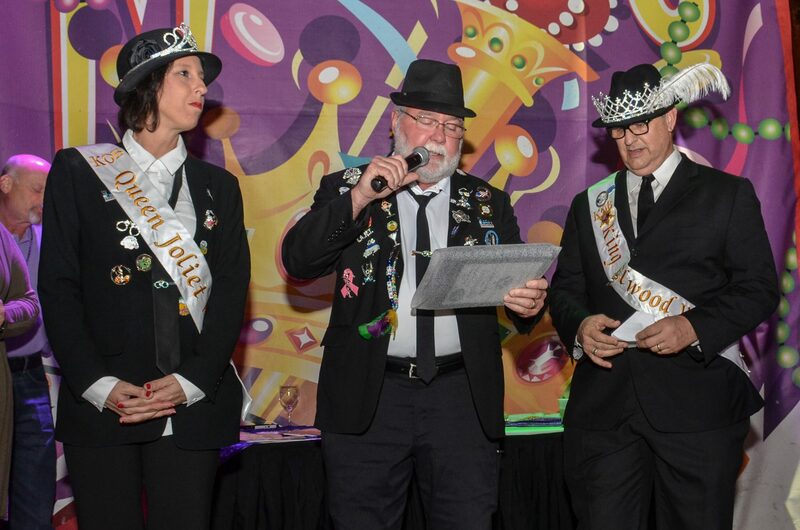 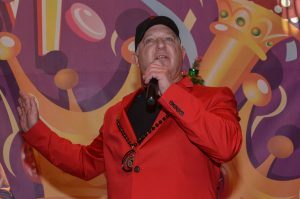 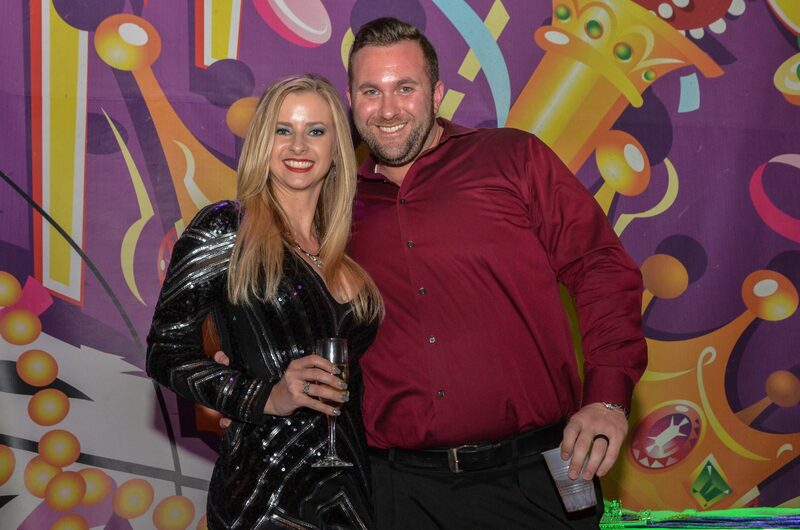 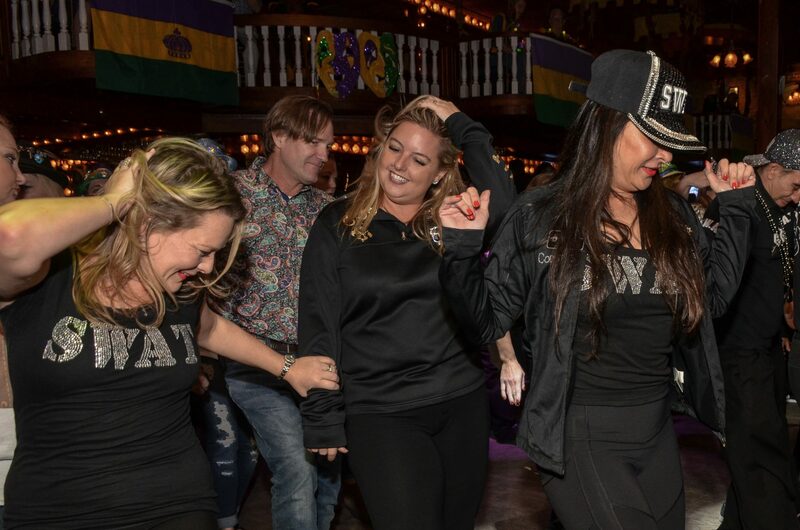 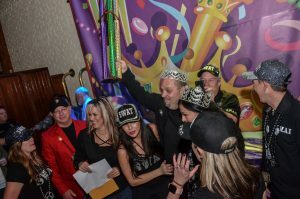 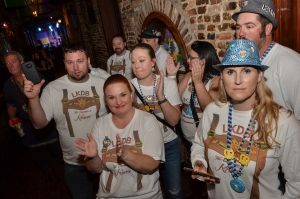 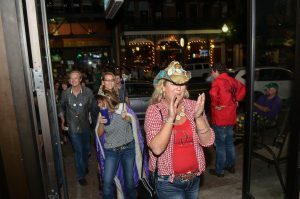 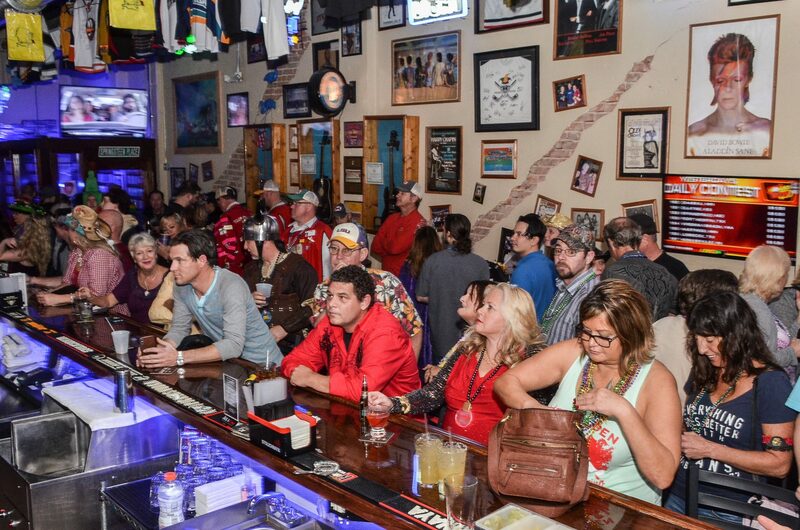 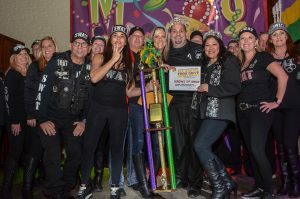 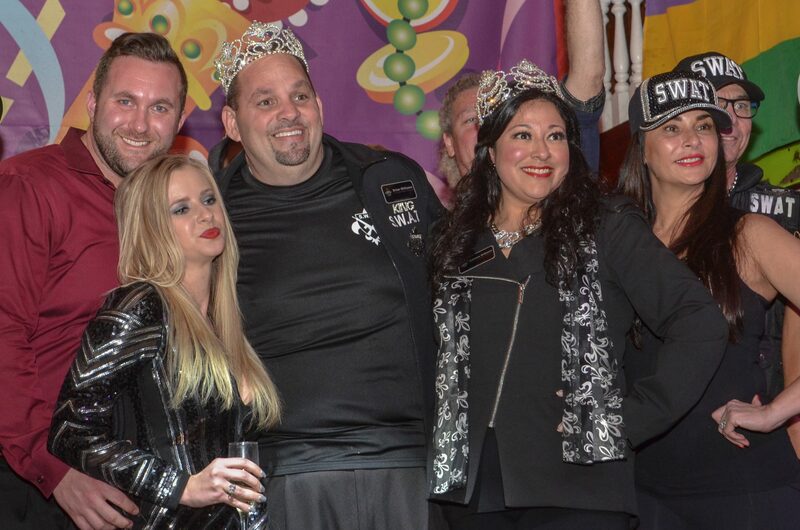 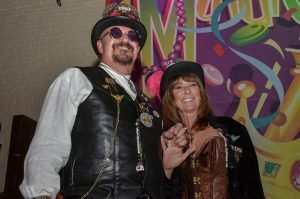 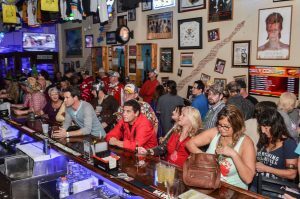 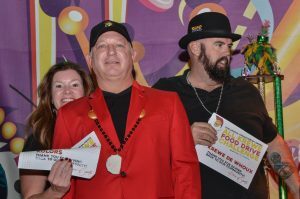 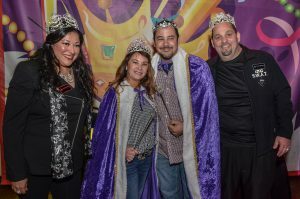 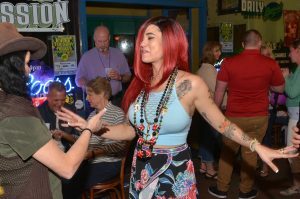 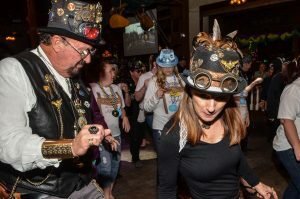 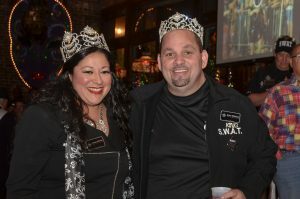 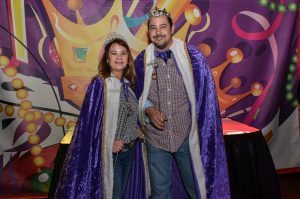 Once the krewes had gathered, Danny Zimmern, president of Pensacola Mardi Gras Inc., acted as the evening’s emcee as an array of awards for the season were announced. 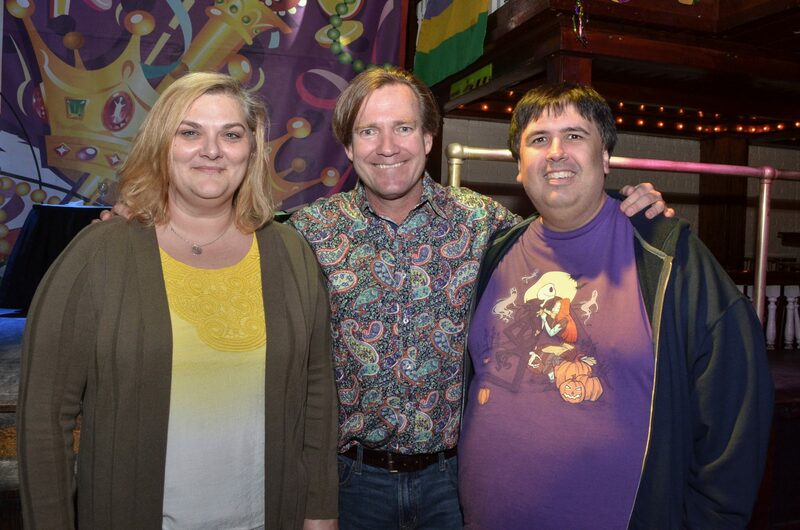 Members of the Krewe of Blues presented awards related to efforts at their annual Pin & Bead Festival. 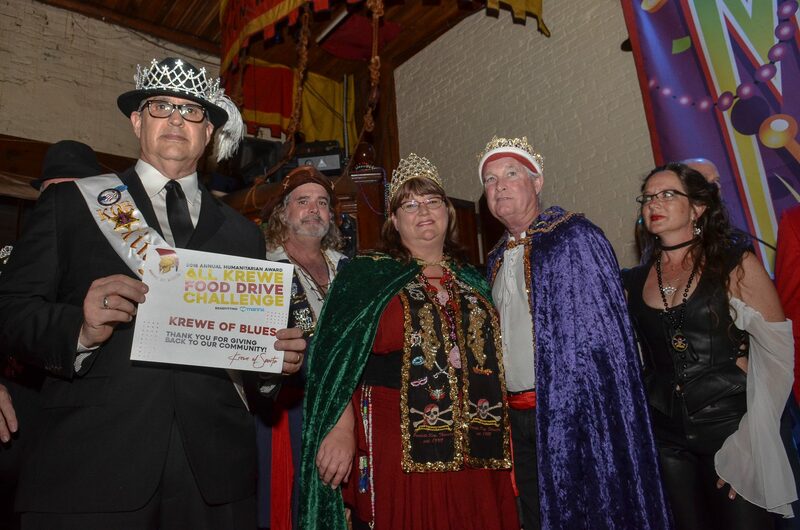 Four krewes who participated in the event each raised more than $2,400 for their respective charities at the event, and the annual diaper drive for Gulf Coast Kid’s House resulted in 17,000 diapers donated. 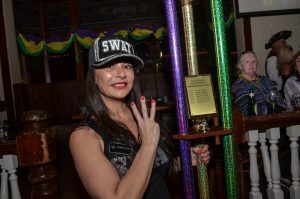 Nearly 10,000 of those came from members of the Krewe of S.W.A.T. 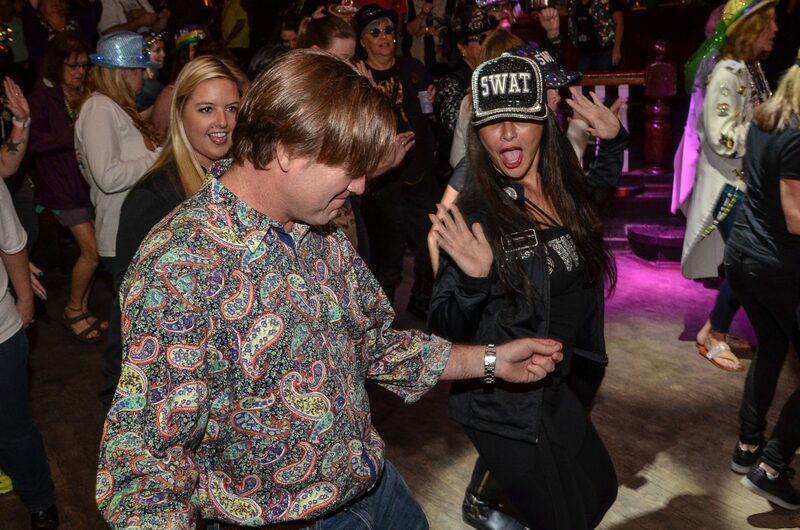 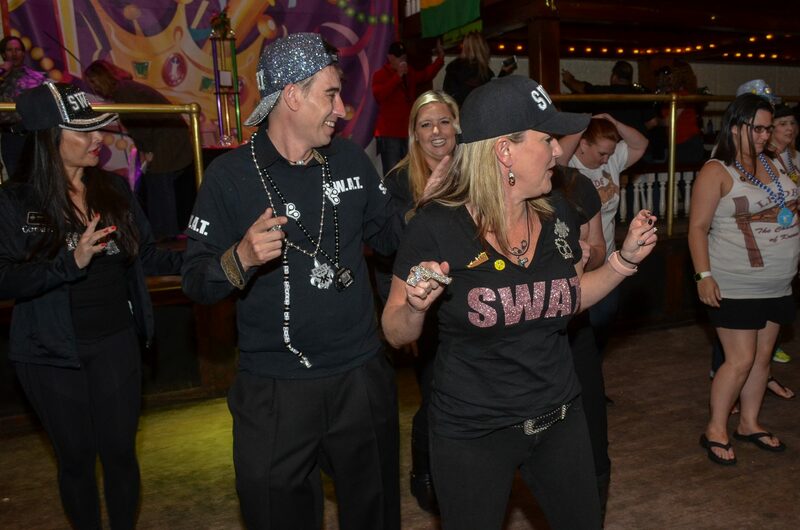 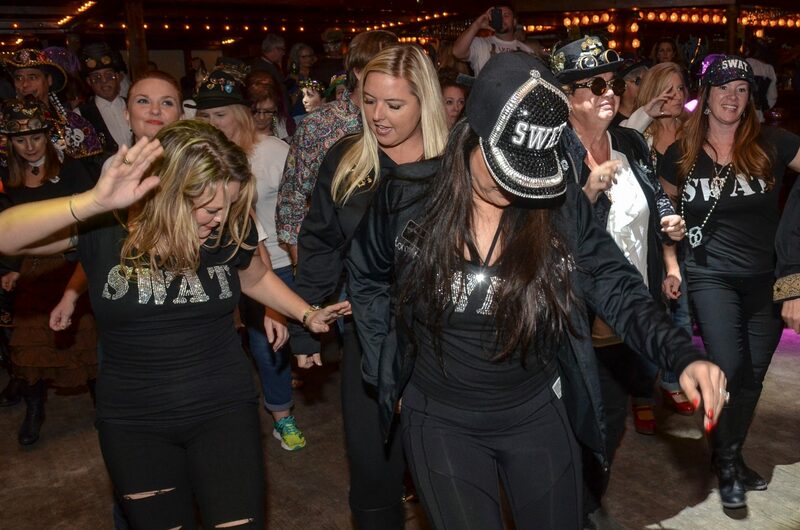 It was no surprise, then, that the Krewe of S.W.A.T. 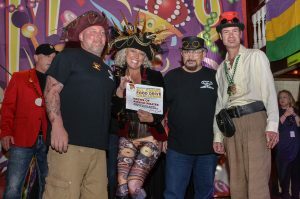 was awarded the King Elwood Award for outstanding teamwork and competition. 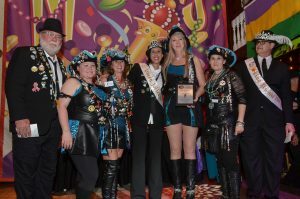 This was followed by the presentation of the Queen Joliet Award to the Krewe of Vixen, honoring originality, creativity and spirit. 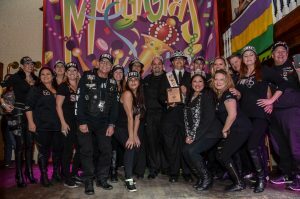 Next, members of Krewe of Sparta came to the stage to present the humanitarian award, honoring efforts in their annual food drive, which this year netted more than 28,000 pounds of food for Manna Food Pantries. 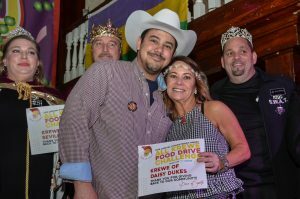 This time of year tends to be a time of desperate need for Manna, so it was wonderful to see the results and hear that this has become Manna’s third-largest food drive of the year. After presenting a plaque to the Krewe of S.W.A.T. 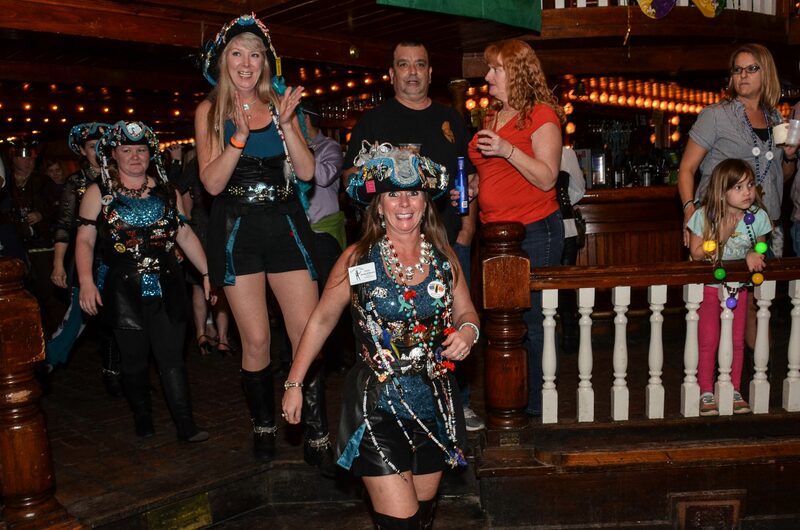 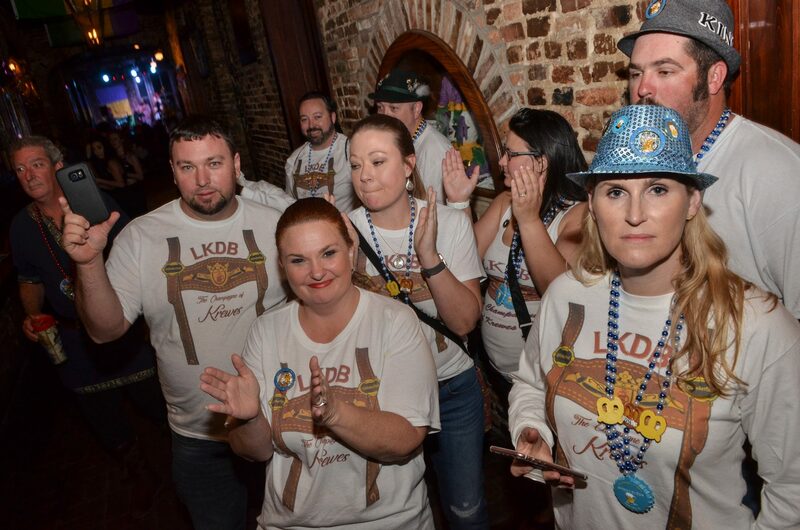 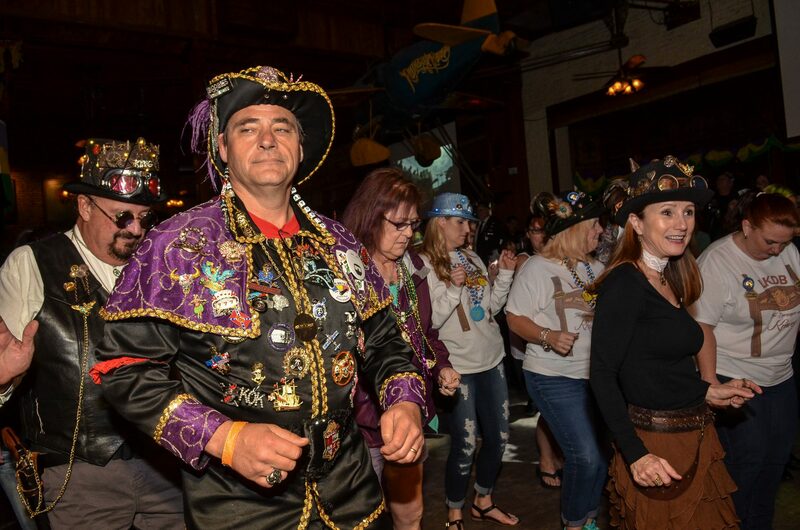 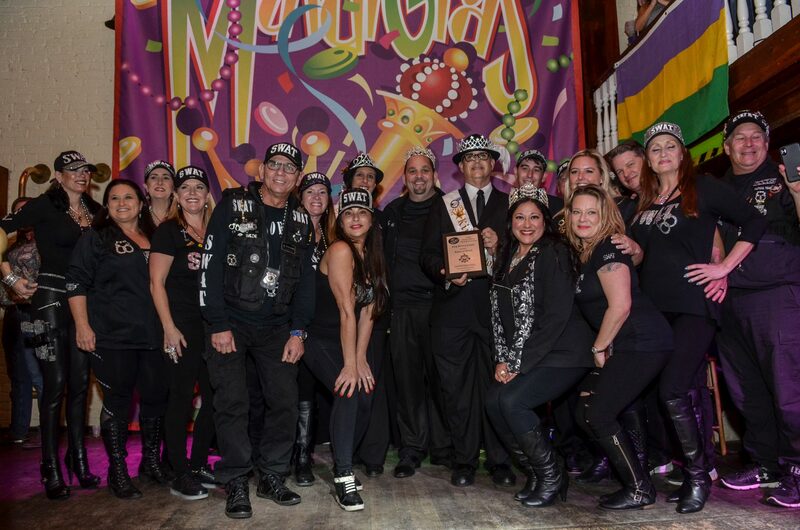 commemorating their 2017 Humanitarian Award, the Krewe of Sparta presented participations to the Krewe of Airship Pirates, Krewe de Whoux, Krewe of Daisy Dukes, Krewe de Gumbeaux, Krewe of Seville, Krewe of Karnival, Krewe of Kolors, Krewe de Los Muertos, Krewe of Blues, Krewe of Sirens, Krewe of Marionettes, Krewe of Viking Mystics, Krewe d’Wilde, Pirates of Lost Treasure, Krewe of Hip Huggers and Le Krewe du Brew, honoring their contributions. 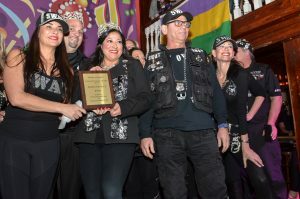 Coming in third in the humanitarian contest was the Krewe of Warriors. Krewe of Bon Amis finished second, and Krewe of S.W.A.T. 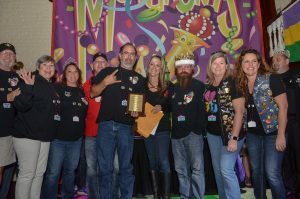 retained the Humanitarian trophy for the third year running for its generous 2018 contributions. 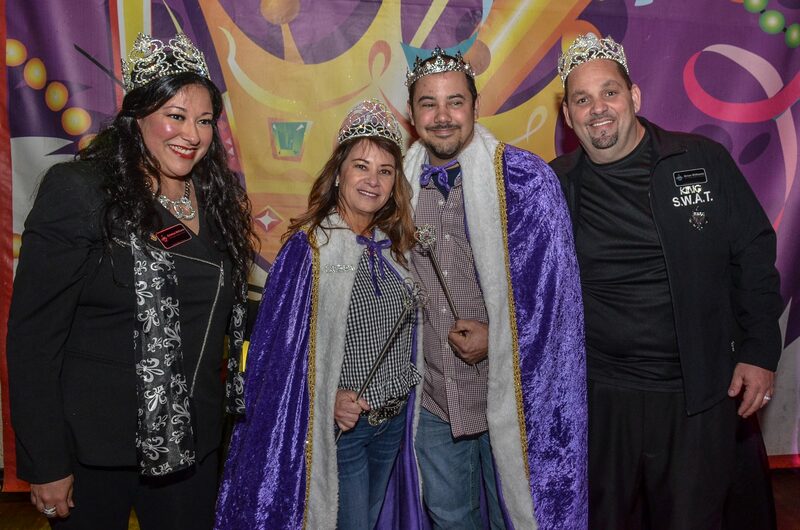 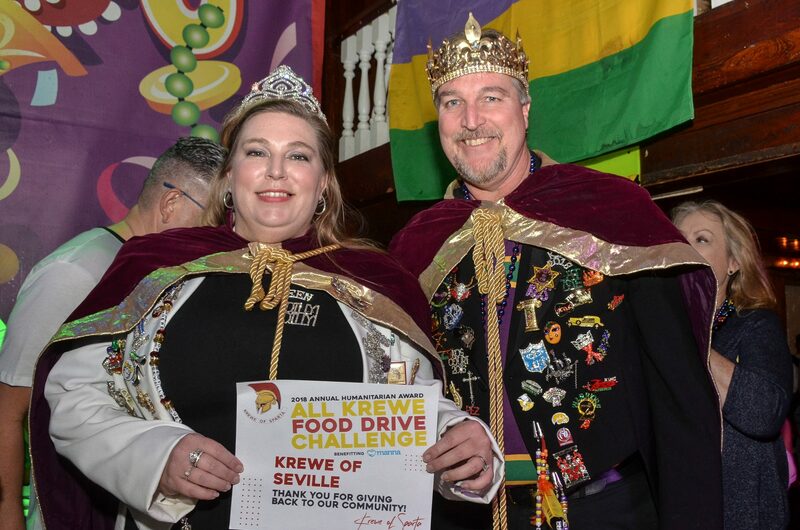 Zimmern has 2018 Priscus King & Queen Brian & Cristina Williams take the stage for one last bow, then welcomed royalty of all krewes competing for the 2019 Priscus title to the stage for photos and to honor their participation in the successful 2018 season. 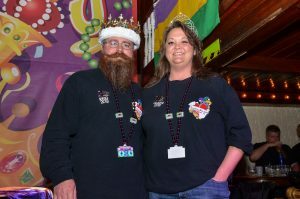 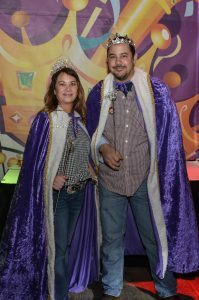 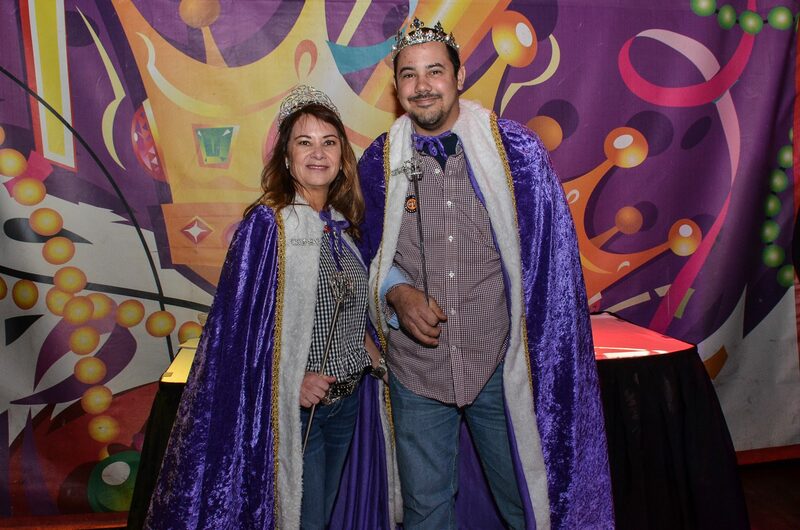 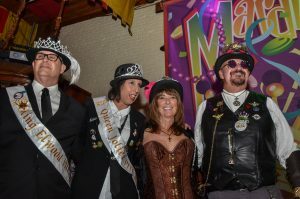 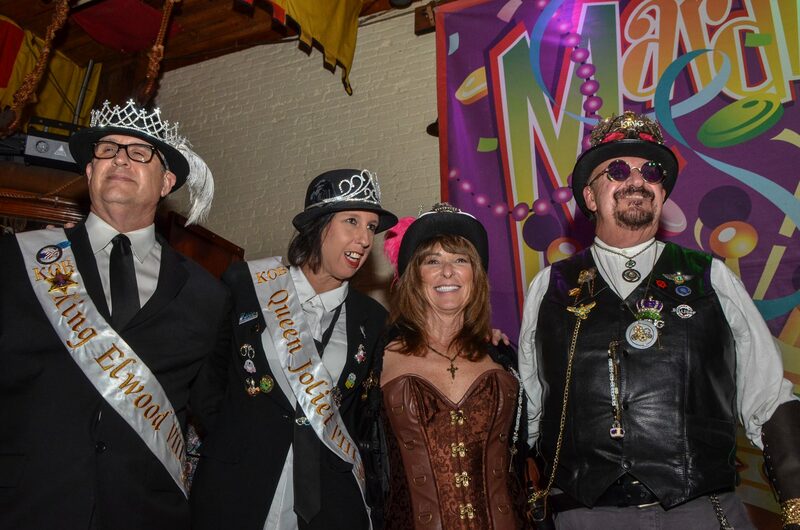 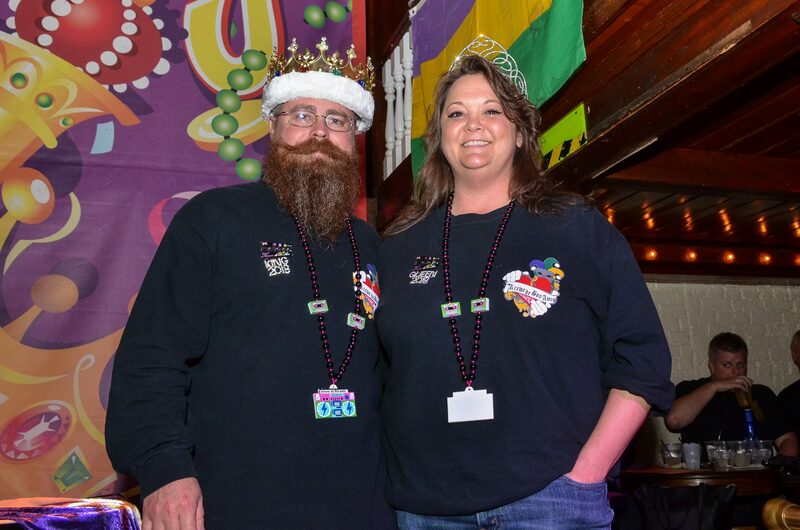 Finally, the outgoing royalty crowned the 2019 King and Queen Priscus, Allan Bell and Pam Burke of the Krewe of Daisy Dukes. 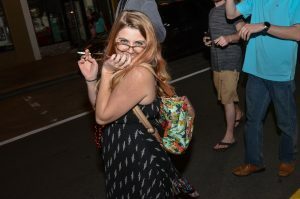 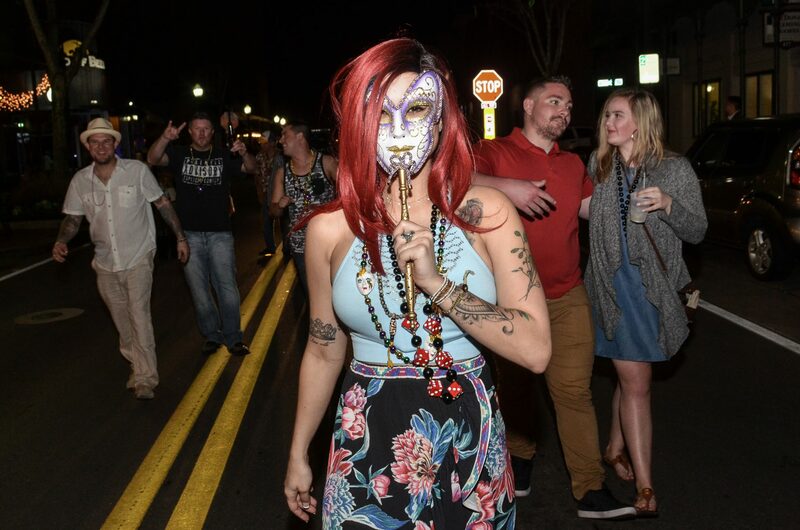 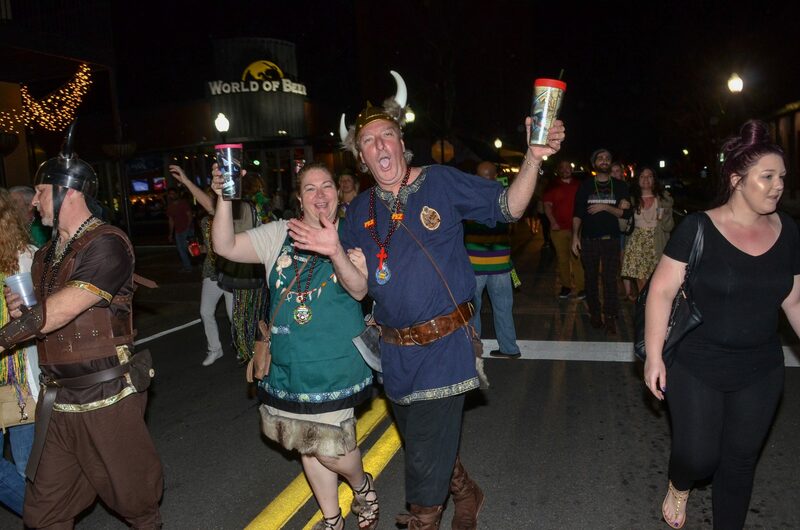 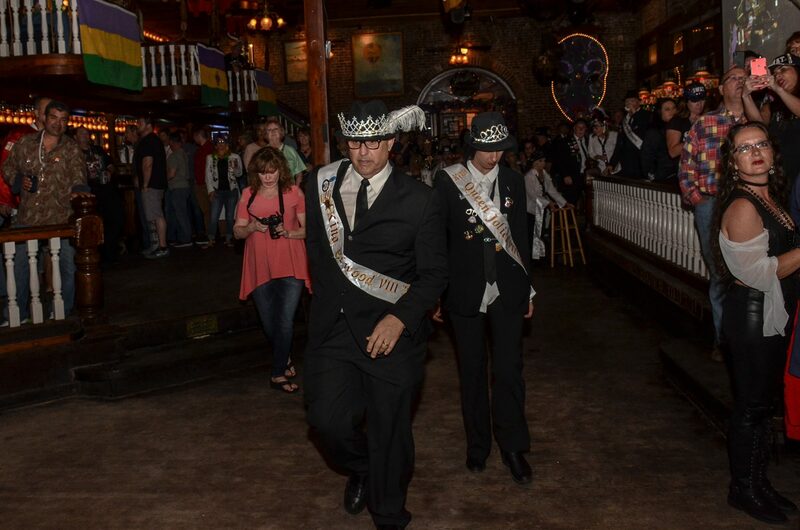 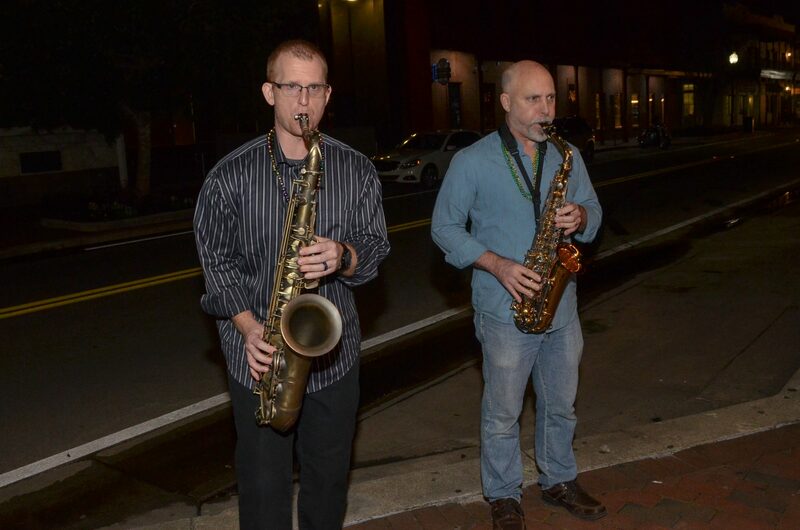 The new king and queen immediately took the lead for the evening’s celebration, joining with a second line band to lead the Priscus Procession through the streets of downtown Pensacola for an evening of revelry with stops at O’Riley’s Irish Pub, Intermission, Badlands and Play. 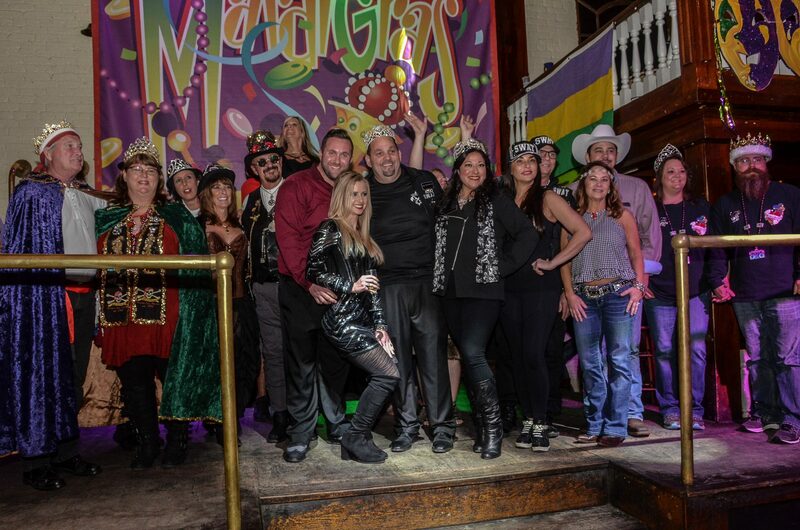 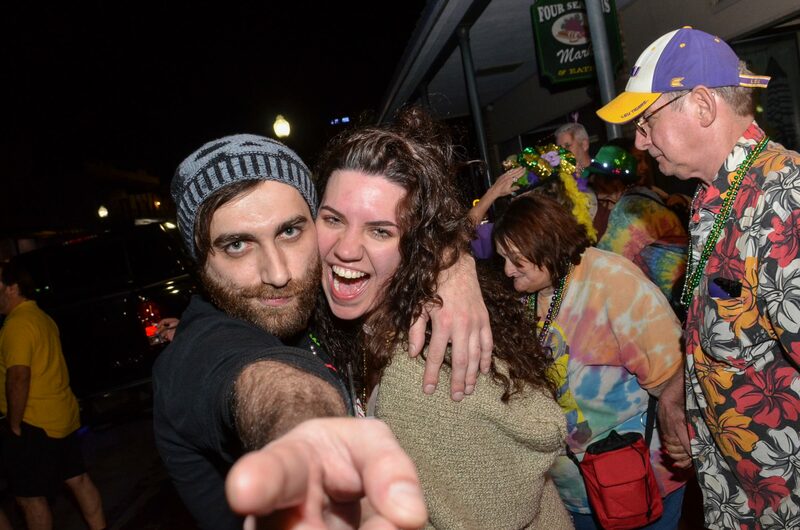 From all of us at Pensacola Mardi Gras and Le Bon Temps Gazette, we hope you had a fantastic 2018 Mardi Gras season! We’ll be back next year to let the good times roll once more! 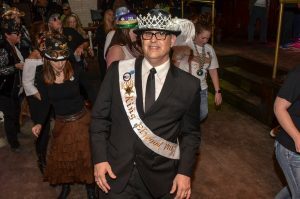 Reporting by Julio Diaz. Photos by Phil Bailey. Stay Informed with our eNewsletter!